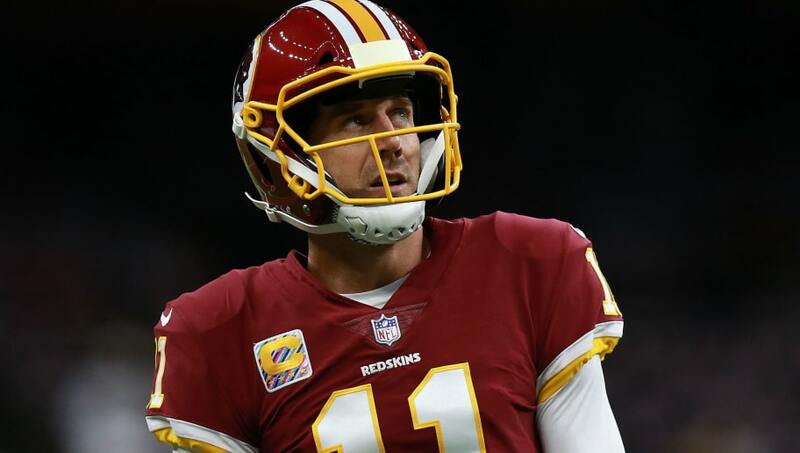 In case you weren't convinced yet, Monday night's primetime game between the ​Washington Redskins and New Orleans Saints proved that the Kansas City Chiefs made the right decision in moving on from quarterback Alex Smith. The Redskins got walloped 43-19, and Smith's performance was predictably bland. This wasn't just some game for the Skins, either-- this was a "prove it" matchup against a ferocious opponent. Washington entered best in the NFC East and boasting one of the best defenses in the league, and to make things even more intense, the game was smack in the middle of primetime. And Smith posted 275 yards on 23-39 passing with zero touchdowns and an interception against a New Orleans team ranked 28th in the league in scoring defense. Meanwhile, in Kansas City, Patrick Mahomes is lighting up the league in Smith's place. The young gun leads the league in touchdown passes with 14 and has been electric from the jump. Of course, the Chiefs moved Smith to Washington after last season not just because they really liked what they had in Mahomes, but because they knew what they didn't have in Smith. And they were entirely right. Smith is a game manager. He doesn't make a ton of mistakes. He can move a bit. He hits on some deep balls. But what Smith cannot do is take over a game. His arm talent can't hold a candle to that of Mahomes. He can't fire a bullet on the run. He most certainly cannot carry an offense. KC knew that and interpreted his excellent statistics last season as more of a reflection of their offensive scheme and alternative playmakers. While they didn't know that the young Mahomes would be quite this good so early, they were confident enough that he could operate well in their fantastic system. He was younger, cheaper, and from what they saw, more dynamic. Patrick Mahomes is the first quarterback to throw for 300+ yards in the regular season against Jacksonville since last October, snapping a streak of 15 consecutive games. The move paid off with unforeseen levels ofsuccess. Mahomes is the leading candidate for MVP thus far, and Smith has as many touchdowns as he has games played (4). There's no debating it. Smith is no franchise quarterback. He won't be carrying anybody to anything. If you want to win with him, you'll have to have everything else on your team be near-perfect. Whether Mahomes can be the man come the postseason is yet to be seen. But so far, he's making the Kansas City brass look like geniuses for shipping Smith out of town.